Most people turn to the internet when looking for new homes in today’s real estate world. 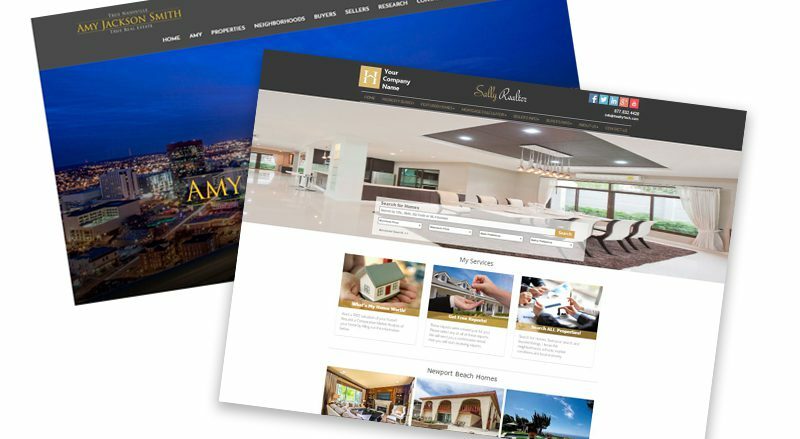 Real Estate Agents need to stay in the game with building their web presence. From the National Association of Realtors, 96% of Americans are looking to buy their house on the internet. As realtors we need to understand the power of internet in generating the sales we need. The internet makes it easier for potential clients to find you and your properties. Having internet presence will allow all current and potential clients to get in touch with you and the information you have at anytime. Let your clients learn about you and your services, this is a great place for the client to get to know you and confirm they made the right choice by selecting you to be their realtor. Adding tools like Mortgage Calculators, Information on Loan Programs, Home Buyer Tips and access to MLS listings will increase the value of your website. Make your website the only place they need to go. Set yourself apart from the competition, you do not want to be another face on a standard site. By creating your own site you are creating your online brand. Your website is a direct reflection of you and your goals and services. People want to go with someone they can trust. Most times future clients are looking for Realtors their friends and family recommend. The National Association of Realtors website states that 54% of buyers and 64% of sellers found the agent they worked with either from a personal referral or they used an agent they had worked with before. It is very important to gain the trust from current and potential clients to keep getting the referrals. With your own website you will have a benefit with targeting specific geographic areas. With a specific area in mind you can integrate keywords to represent that area into your website elements, like url structures, page titles, and content. Integrating keywords into your website will give your potential clients a better chance of finding you when looking in your targeted area. Creating a blog on your website could help you attract an audience. This would be a positive way to demonstrate your knowledge and build trust for your readers. With a weekly blog clients can see how you want to connect with them. Blogs are a great place to link social media sites like Linkedin, Facebook, and Twitter. These sites can also help build your brand and will let them know you are available to them. In today’s society, it’s about becoming the only resource for your clients, creating your personal brand, and staying relevant to your area of focus. Having your own real estate website is the best way to protect all of these areas and maximize your potential development of your business.